Upon your arrival at Kilimanjaro Airport, our transfer driver will be waiting for you. He will take you to the Meru View Lodge, where the rest of the day is at leisure. You might want to explore the town of Arusha (taxi required) or just relax at the lodge. In the evening you will be briefed by our team on site in preparation of the upcoming trekking tour. You will spend the night at Meru View Lodge. After breakfast at the lodge, you will be taken to the Kilimanjaro National Park gate. 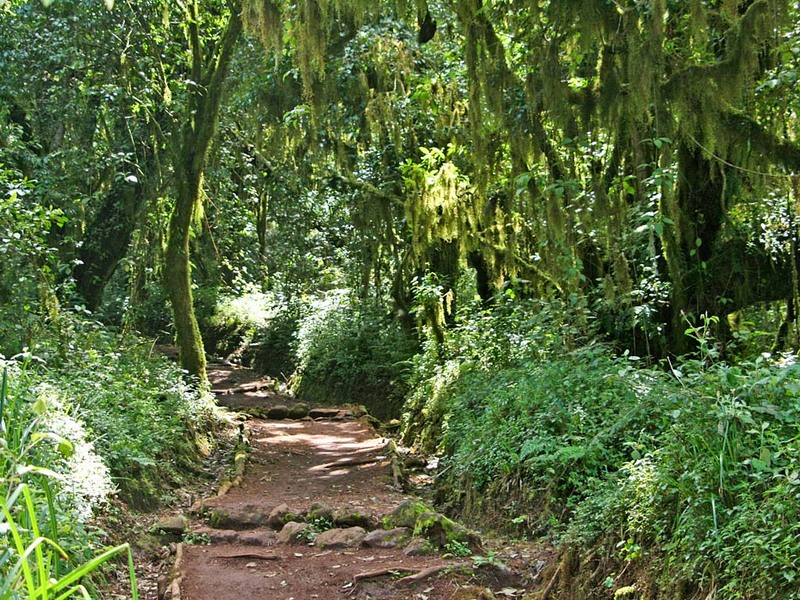 Once the necessary paper work has been completed, your trek begins and you will soon be hiking through the dense rainforest. You might be lucky to catch a glimpse of the black and white colobus monkeys scrambling through the lush vegetation. 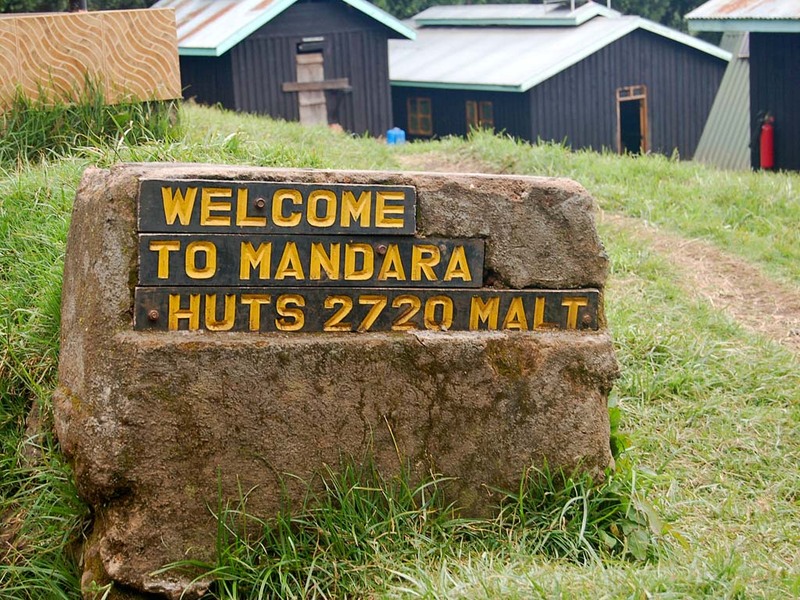 Approximately 3 to 4 hours later, you will reach your destination for the day, the Mandara Hut. After a well-earned rest, your guide will take you to the Maundi Crater where you can enjoy wonderful views towards Kenya. Evening meal and overnight stay at Mandara Hut. The day begins with an early breakfast and shortly after you have left Mandara Hut, you will reach the treeline where vegetation changes to shrubs. Approximately 5 to 6 hours later, the Horombo Hut will come into sight. 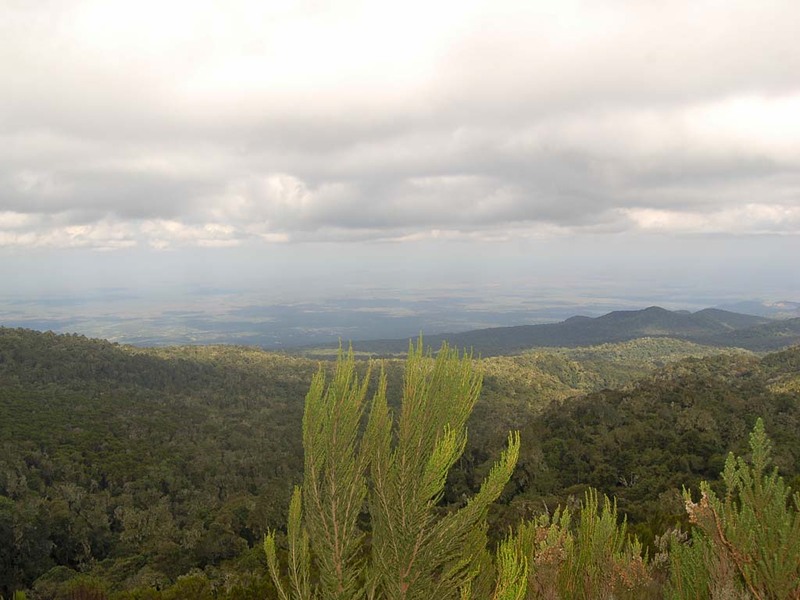 From the hut you will have fantastic views overlooking Mawenzi, Kibo peak and the Masai steppe. Evening meal and overnight stay at the Horombo Hut. Today’s purpose is getting your body to acclimatise to the altitude. Acclimatisation should not be underestimated as it greatly improves your chances of reaching the summit. After a relaxing breakfast, you will set off on a trek to Zebra Rocks. The distinctive black and white stripes give the rock formation its name. On your return to Horombo Hut, a cooked lunch will be waiting for you. You can relax in the afternoon and regain your strength for the hike the following day. Overnight and evening meal at Horombo Hut. Today is your big day. You will start in the middle of the night when the lava ash is still frozen and walking on it is easier. You will begin the long and strenuous trek to the summit in the dark. Passing the Hans Meyer Cave (5,220 m), the climb slowly but surely goes upwards. At sunrise, you will reach Gilman’s Point (5,681 m) on the crater rim. 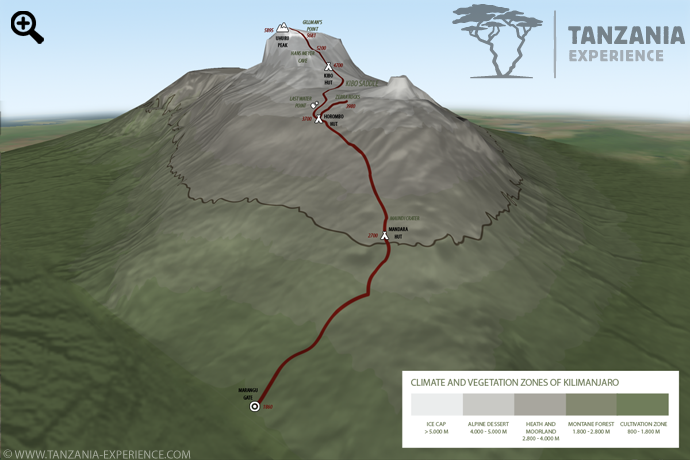 Soon you will have forgotten the cold of the night and after another 1 to 2 hours, you will reach Uhuru Peak. Now you are standing on the “Roof of Africa”. The descent follows the same path and the lava ash will now have thawed and allows for a fast descent. 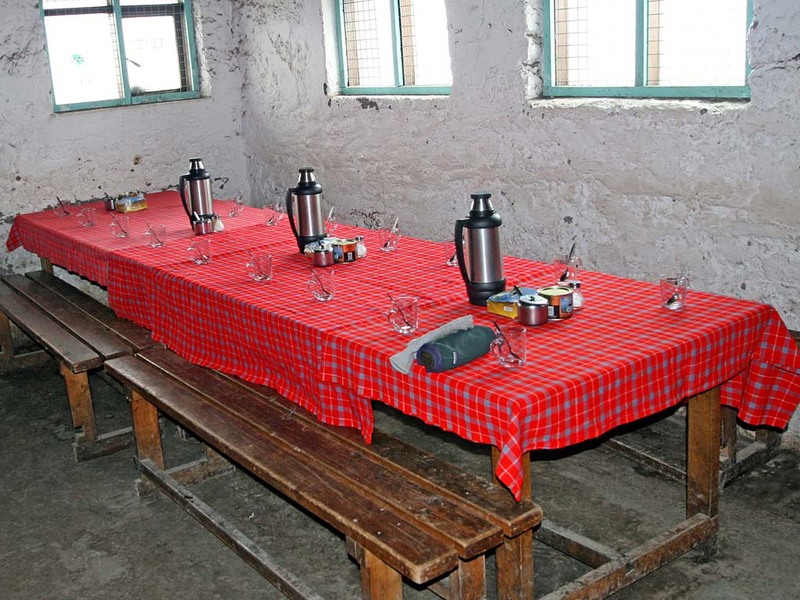 On your return to Kibo Hut, a warm meal awaits you and you can rest a while to regain your strength. 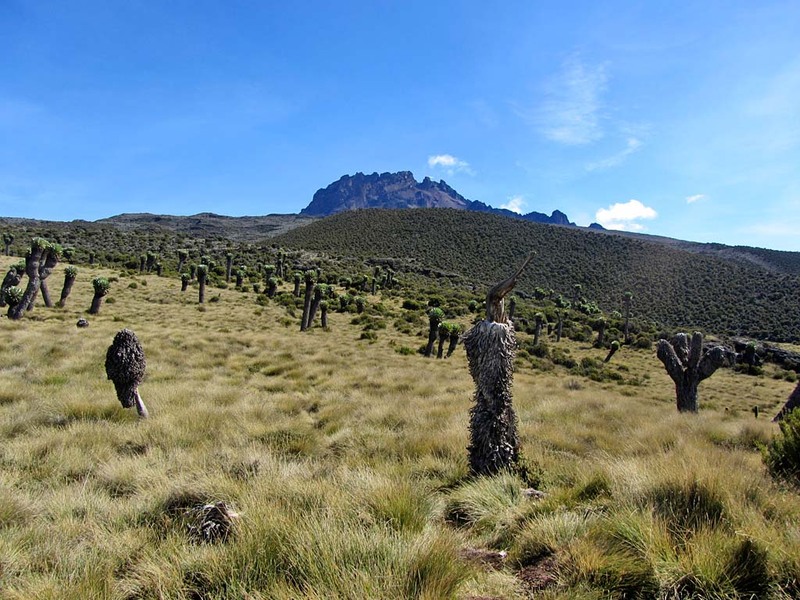 After a break of 1 to 2 hours, you will be on your way down to the Horombo Hut where you will arrive in the afternoon. After an evening meal, it is early to bed for most. The last stage passes through the heather and moor zone to the Mandara Hut where a cooked lunch awaits you. 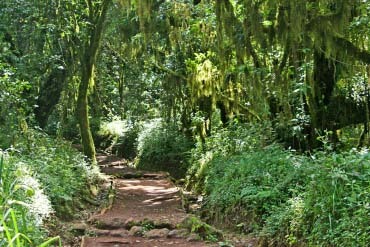 Soon you will again be in the lush tropical rainforest and after about 6 to 7 hours of trekking, you will be back at the Kilimanjaro National Park gate. After saying goodbye to your mountain crew you will be taken back to the Meru View Lodge. At the hotel you can have a warm shower and celebrate your success in reaching the summit of Mt Kilimanjaro. You will have dinner and spend the night at Meru View Lodge.